You had a sneak peak of what I was wearing on Easter but this is the right post to see it more clear. I have these shorts many years but not wear them so usually. As I have complained several times it is so hot that I only want to wear white cotton tops like this one. I think that this is one my favourite above all my white tops and trust me I have many of them. It is so cute and can match with every pair of shorts or skirts or jeans. 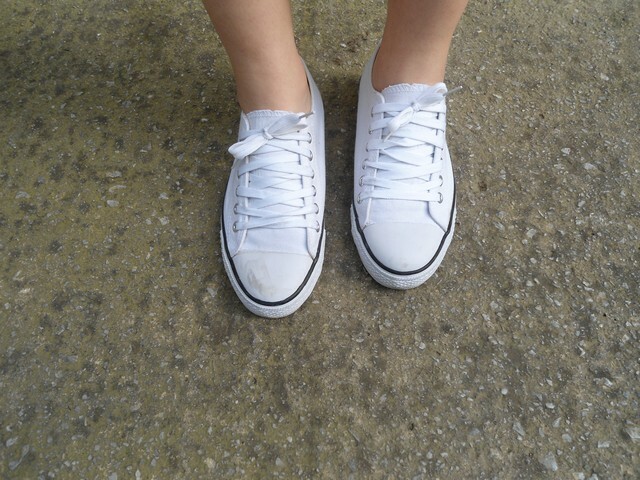 I bought those white sneakers the previous week and I wear them all the time! Do you like them? Very stylish!!!! Simple yet splendid!!! such a cute & comfy outfit <3 Love the top!! 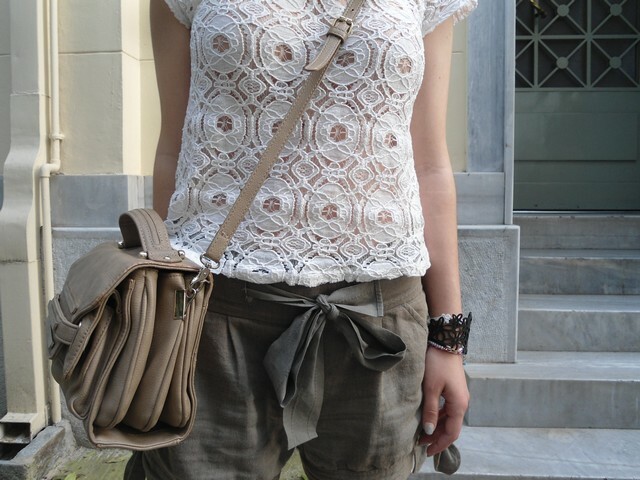 Love lace top and short, so nice look! Che splendida tracolla :)! Brava! Thank you so much for your lovely commet! Love your top kopela mou! You look so cute, love the top. You look really great!! I like this shirt a lot! I really like it and perfect shorts. Have a nice day. You've got beautifual hair! Love the handbag and the outfit. Thanks for comment. I love your blog too. Of course I like to follow you. So cute look! I love it! Amazing top :) Do you wanna follow each other?